Welcome to Wisconsin Valley Concrete Products! Our goal is to provide exceptional customer service and we are here to help you in any way we can. 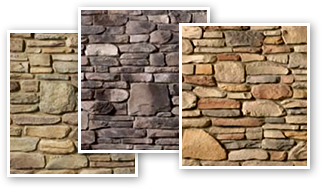 We offer multiple lines of cultured stone to enhance the appearance of any interior or exterior project. In addition, we carry a variety of sizes of concrete block along with custom colored mortar. Our factory trained technicians service most major brands of power tools, offer quick repair times and use genuine factory replacement parts in the repair of all tools. Authorized Sales, Service, and Warranty Repair Center for Milwaukee® Electrical Tools. Authorized Service and Warranty Repair Center for Porter Cable, Black & Decker and Dewalt power tools. We specialize in repairing Bostitch and most major brands of pneumatic tools also. 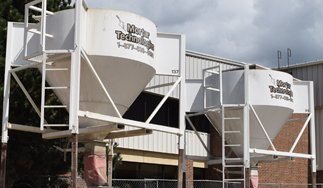 Mortar Technologies is a manufacturer of professional and consumer-grade concrete mixes, grouts, and sand bags that can be customized with colors and admixtures to meet your specific needs. Mortar Technologies’ material is produced in-house at our manufacturing facility and we offer pick-up and delivery services to major Wisconsin and Illinois markets. WVBP has the tools and products to help make your project successful! We are looking for talented, hardworking individuals that want to succeed. Please apply in-person or send us your contact information to begin discussing how you would fit into our organization. Looking for quality door & hardware or ready-mix concrete? Our sister company, Quality Door & Hardware, offers a diverse range of commercial products including: hollow metal doors and frames, wood doors, finish hardware and so much more.